Your sympathies are conveyed beautifully with our comforting and uplifting Golden Slumber for Sympathy™, featuring yellow roses, large mums, delicate white lilies and contemporary yellow snapdragons in a classic sympathy spray design. 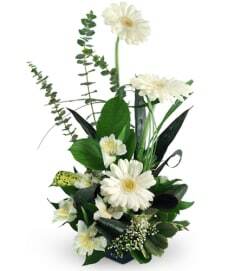 The unexpected combination of blooms evokes uplifting memories of your loved one. Perfect for a wake or church funeral. 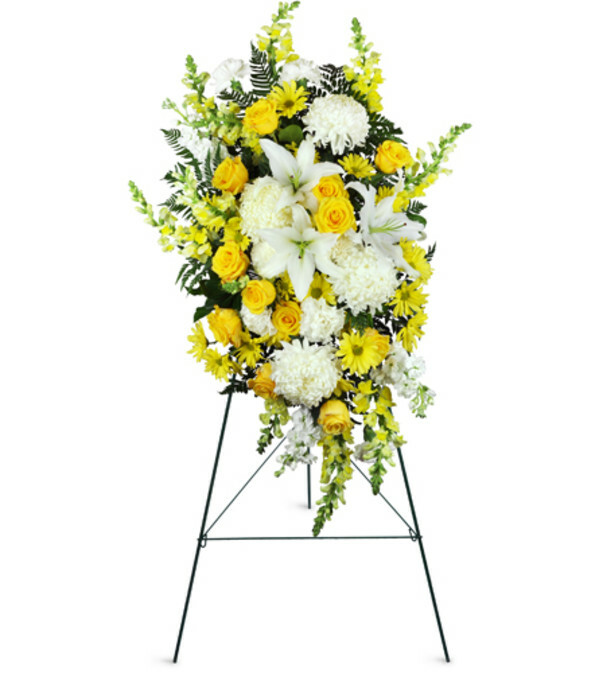 Impressive "commercial" mums, yellow snapdragons, white lilies, and sweet yellow roses are arranged with greens in a classic funeral spray design. 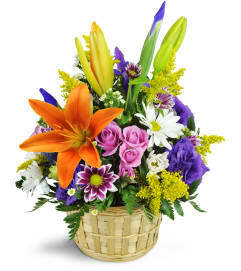 I have used Flowersflowersinc many times now and each time live up to the expectations. Delieveries are always on time and flowers always exceptional. Will be using them for years to come for everything I need.Thank You to the wonderful team at Flowerflowersinc. Beautiful arrangement arrived at time promised & in perfect condition . We will call again when in need of flowers for special occasions. Excellent service and prompt delivery! Flowers Flowers Inc is a Lovingly Florist in Austin. Buying local matters. Discover how Lovingly supports local florists. Copyrighted images herein are used with permission by Flowers Flowers Inc.